How To Quench Your Thirst From Someone Else’s Hunger – It's Wine By Me! 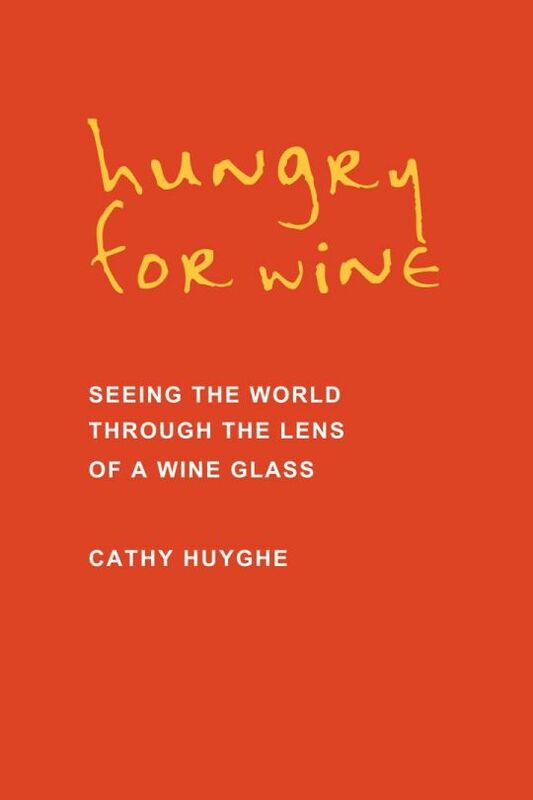 When I first learned about Cathy Huyghe’s new book, I immediately perked up: Finally, someone is putting into words what I’ve been trying to define via this site, or my Twitter and Instagram feeds: How can you properly communicate that intense yearning to follow everything wine (and are there others like me?)? She succeeds at that by sharing the stories of the people behind 12 bottles of wine. It’s their own desires deep inside their souls driving their pursuit. And it’s why “hungry” in the book’s title is such a wise word choice. “It’s about being hungry for life and being hungry for the pleasure of it and to actually jump off the edge and go ahead enjoy it, and go ahead and give yourself permission to enjoy it,” Huyghe told me after she sent me an early copy of Hungry for Wine: Seeing the World Through the Lens of a Wine Glass. So I jumped on the opportunity to review it at work. The editors at The Salt loved the idea! Until now (except for a slight mention and a 2003 profile of a Maryland winery back when I barely knew the difference between Chardonnay and Cabernet), I haven’t written about wine professionally. Finding the right wine voice outside of this site, while maintaining my objectivity as a journalist was challenging. It also meant I had to keep in mind what an NPR audience would connect with the most. As a result, the edited version of the post focused on some of Huyghe’s chapters that were pertinent to political and social issues as part of the news. However, as an obsessed oenophile, I personally connected more to the emotional side of her writing – and much of the soul I had originally wanted to include in the story was either lost or left on the cutting room floor. But thanks to the power and wonder of the digital age and multiple platforms, I can share more of my hour-long conversation with Huyghe right here! Maybe by doing so, it will stir up your own hunger for wine! *Françoise is a woman mentioned in the first chapter of the book that can be best be described as a long-lost love who once brought some memorable bottles to the main character of the chapter. It’s that exact challenge of never being able to duplicate your experience with a each glass of wine that drives my passion, too. Previous Article If You’re In The Berkeley Area and It’s Monday (or any other day), I Found The Perfect Place!